Christine M. Adams is an experienced and aggressive employment litigation attorney. She represents employees along California’s Central Coast who have been harassed or discriminated against at work because of their gender, a disability or pregnancy, sexual orientation, marital status, race or ethnicity. Ms. Adams also pursues the vindication of “whistleblower” claims for employees who have been retaliated against for objecting to unlawful conduct in the workplace, refusing to do something illegal, or assisting others who have complained about unlawful conduct. She also represents employees who have been denied meal and rest breaks or who have not received the proper compensation for their work, where an employer denies an employee overtime compensation, has a “use it or lose it” vacation time policy, or breaches the terms of an employment contract. Ms. Adams obtained her Juris Doctorate from the University of the Pacific, McGeorge School of Law, where she served as the Managing Editor of its Law Review. She is nationally published and admitted to practice before all state and federal courts in California. She is a member of the State Bar of California, the Santa Barbara County Bar Association, and the California Employment Lawyers Association (Committee Member). She proudly serves employees in Santa Barbara, Ventura, Thousand Oaks, Simi Valley, Santa Maria, Paso Robles, Arroyo Grande, Pismo, and San Luis Obispo. 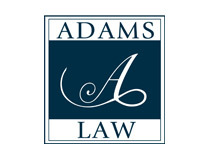 Ms. Adams has advised and represented clients in all aspects and stages of employment disputes, including pre-complaint, informal negotiations, administrative hearings and jury trials. On the employee side, she has seen great success bringing claims for sexual harassment, hostile work environment, unpaid overtime and other wage related disputes, wrongful termination, disability discrimination and breach of contract claims. She is also available to analyze your employment contract or severance package. Her former clients will gladly speak to you about how they felt being represented by a caring, yet aggressive, attorney. Employment law is complex and requires an attorney who understands that law and who will aggressively pursue your rights while providing you with individualized service and compassion. Ms. Adams has dedicated her career to practicing labor and employment law. She has handled cases ranging from relatively small wage and hour matters to complex litigation resulting in millions of dollars awarded at trial. If you need a compassionate lawyer who will fight for your rights and who has the experience required to handle your employment law needs, call Adams Law.